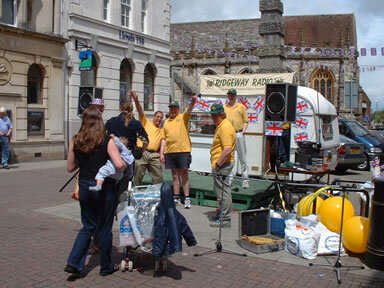 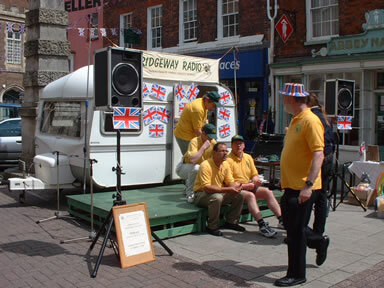 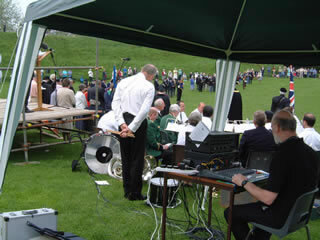 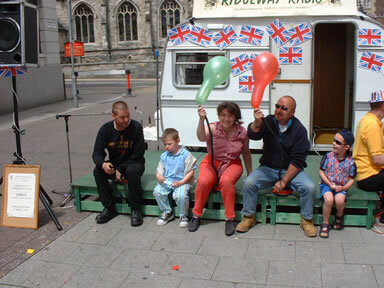 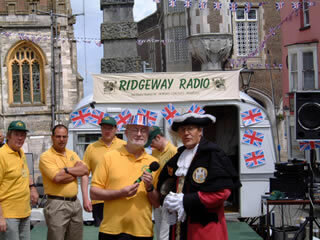 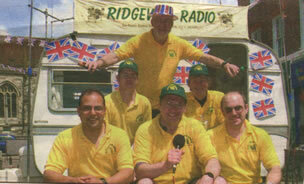 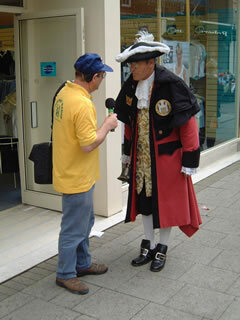 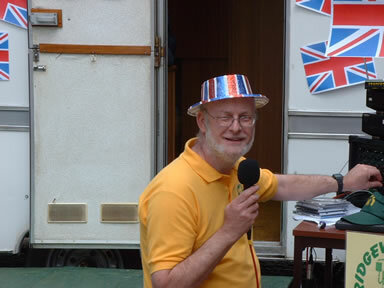 The Golden Jubilee celebrations in Dorchester were a huge success and Ridgeway Radio was much involved. 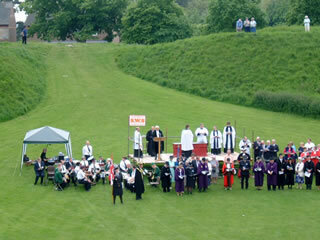 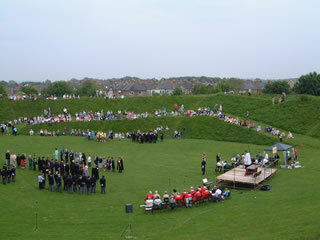 On Sunday 2nd June a Thanksgiving Service for the Queen's 50 year reign was held in the town's grassed Roman amphitheatre, Maumbury Rings - a wonderful venue for such an event because of its construction, although no doubt the Romans put it to other uses! 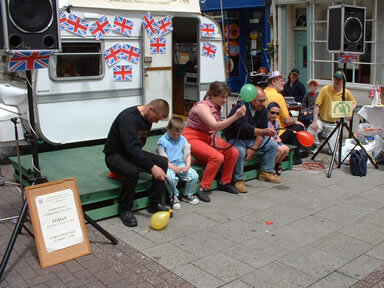 The service was attended by all the town's church denominations together with Town Councillors and representatives from many local organisations and was well supported by local people. 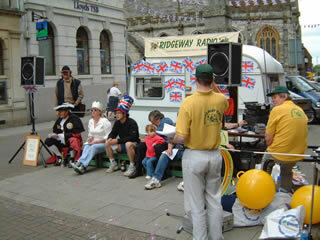 The following day a musical event was held in the Borough gardens featuring Jiggery Pipery, the Purbeck Big Band, the Wessex Military Band and jazz combo 'Four in a Bar + friend'. 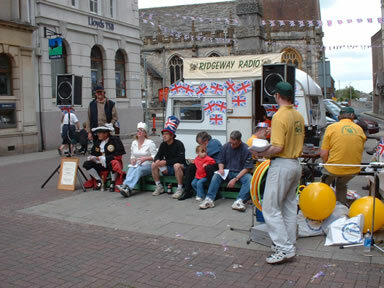 At 9 o'clock the Dorchester Carnival Band led a procession of hundreds to Salisbury Fields for the lighting of the Beacon - one of 1800 across the country. 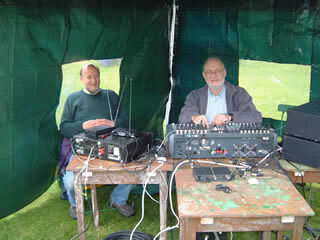 Ridgeway's Andy Worth and Andy Venton were the PA sound engineers for both events. 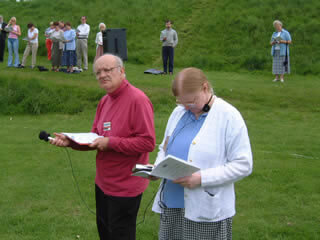 A recording was made of the Thanksgiving Service which patients at Dorset County Hospital heard later that day. 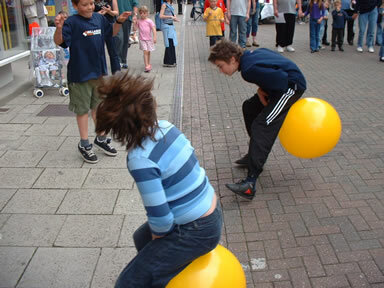 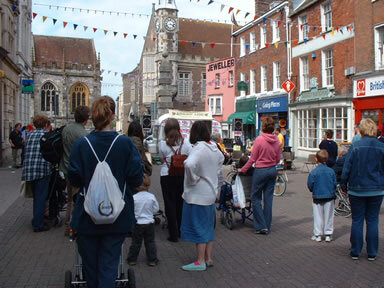 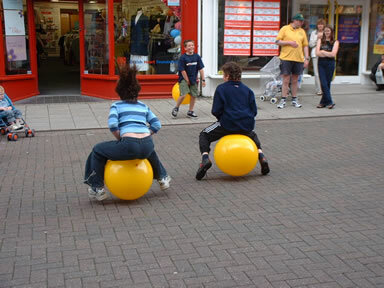 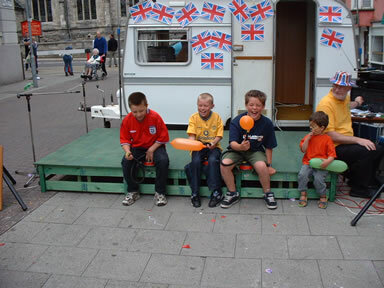 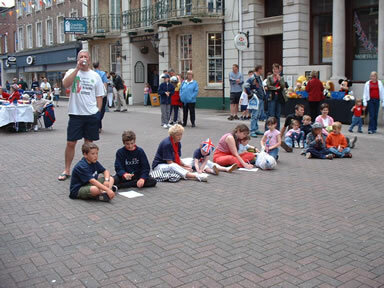 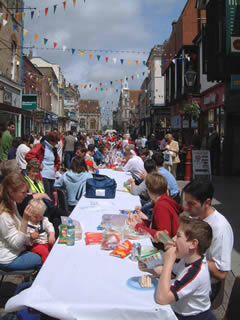 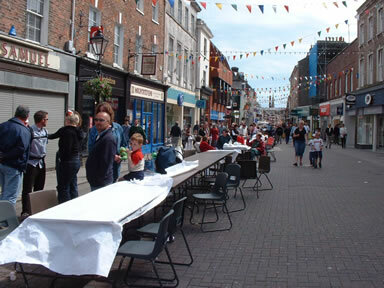 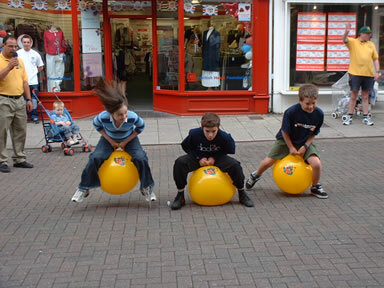 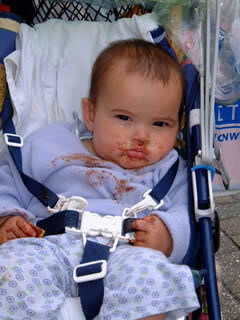 On Tuesday 4th June a Street Party was held in Dorchester's festive-looking main shopping precinct, South Street, where tables had been positioned end to end along much of the street for local people to eat their picnics and chat to others. 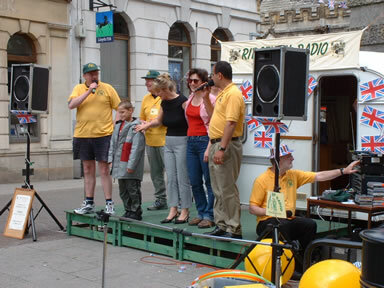 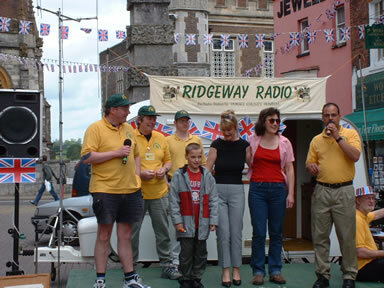 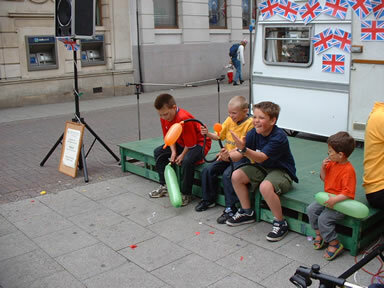 A Ridgeway Radio team of 9 provided some of the entertainment at the Cornhill end of the street with all sorts of fun and games. 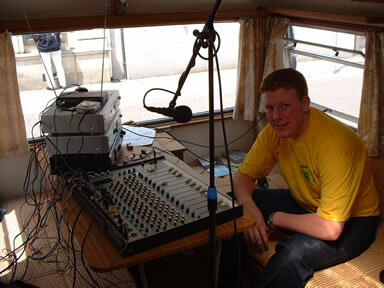 Also we broadcast a live programme to listeners in hospital from our OB caravan. 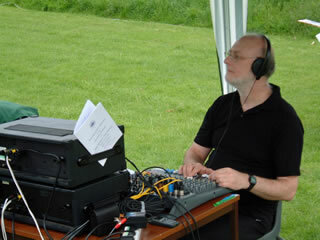 As well as music and local interviews we took live reports from Ridgeway's Peter Foster in London who was there to record material at the Jubilee celebrations in The Mall and around Buckingham Palace for later broadcast in his 'Audio Diaries' series.